As House leaders delay on passing immigration reform that would help millions of immigrants already in the U.S., Washington, D.C., officials are taking steps to improve the lives of undocumented immigrants who call the city home. Last week the D.C. Council passed a bill, written by Council member Mary Cheh, which allows undocumented residents to apply for Driver’s Licenses. D.C. Mayor Vincent Gray signed the bill yesterday. The new policy, which goes into effect May 1, sets up a system where undocumented immigrants will receive licenses that are the same but for their being marked “not valid for official federal purposes.” Driver’s licenses for legal residents and citizens will not change. 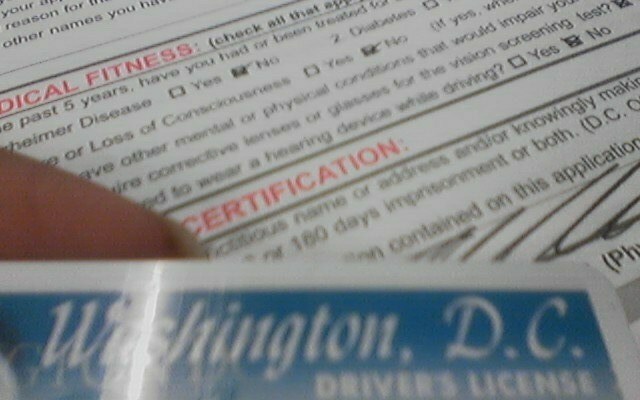 Cheh said she is still pursuing the most “benign” way to comply with the law, putting the “not valid” lettering, for example, in the “smallest font” possible on the license, and ensuring that the data held by the District’s motor vehicle department that could identify non-citizens would be kept confidential. Regardless of whether the licenses are marked, issuing them for residents who are in the country illegally is the right thing to do, she said. Outside of D.C., 11 states and Puerto Rico allow people to apply for driver’s licenses regardless of immigration status. Last week, Illinois began implementing its law to issue licenses to undocumented immigrants living in the state if they meet conditions like purchasing insurance. State officials expect up to half a million people to eventually apply for the ability to drive legally in Illinois, and the state attorney general’s office warned residents to be aware of scams related to the rollout of the Temporary Visitor’s Driver’s License (TVDL) program. “The only legitimate place you can apply for a temporary driver’s license is with the Secretary of State’s office,” Illinois Attorney General Lisa Madigan said. It is good for public safety to allow undocumented immigrants already in the U.S. to be licensed drivers and fully participate in their local communities. States and cities are leading the way by passing commonsense, pro-immigration measures that allow immigrants already here and contributing to have the opportunity to move forward productively with their lives.